After graduating from Stanford Law School, where he was Senior Article Editor of the Stanford Law Review, Professor Mikhail joined the law firm of Simpson, Thacher & Bartlett. He then served as a judicial clerk to Judge Rosemary Barkett on the U.S. Court of Appeals for the Eleventh Circuit. Professor Mikhail’s research and teaching are focused on constitutional law, criminal law, torts, human rights, jurisprudence, moral and legal philosophy, legal history, and cognitive science. Before attending law school, he received his Ph.D. in Philosophy from Cornell University and was a Lecturer and Research Affiliate in the Department of Brain and Cognitive Sciences at M.I.T. He is the author of Elements of Moral Cognition: Rawls’ Linguistic Analogy and the Cognitive Science of Moral and Legal Judgment (Cambridge University Press, 2011; paperback edition, 2013). He also has published articles in a wide range of academic journals, including Stanford Law Review, Virginia Law Review, Georgetown Law Journal, Law and History Review, Jerusalem Review of Legal Studies, Ethics, Trends in Cognitive Sciences, Journal of Experimental Psychology, Cognitive Science,and Psychology of Learning and Motivation. Professor Mikhail has been a Visiting Scholar at Stanford Law School, a Visiting Junior Scholar at the Peter Wall Institute for Advanced Studies, a Teaching Fellow at the John F. Kennedy School of Government, and a Visiting Professor at the University of Zurich. His research has been featured in Science, Der Spiegel, Boston Review, Prospect Magazine, Discover Magazine, The National Law Journal, The Washington Post, and other media outlets. He delivered the Rousseau Lectures at the University of Zurich in 2017 and the Seegers Lecture on Jurisprudence at Valparaiso University in 2018, and he will be a plenary speaker at the IVR World Congress in 2019. From 2011 to 2013, he served as Associate Dean for International and Transnational Programs. Currently, he is Associate Dean for Research and Academic Programs. Visit Professor Mikhail’s home page. John Mikhail, James Wilson, Early American Land Companies, and the Original Meaning of “Ex Post Facto Laws”, 17 Geo. J.L. & Pub. Pol'y (forthcoming). John Mikhail, Sydney Levin & Alan Leslie, Presumed Innocent? How Tacit Assumptions of Intentional Structure Shape Moral Judgement, J. Experimental Psychol. (forthcoming). John Mikhail, A Tale of Two Sweeping Clauses, 42 Harv. J.L. & Pub. Pol'y 29-42 (2019). John Mikhail, Sydney Levine & Alan M. Leslie, The Mental Representation of Human Action, 42 Cognitive Sci. 1229-1264 (2018). "Trump hotels exempted from ban on foreign payments under new stance," coverage by The Guardian, April 9, 2019, quoting Professor John Mikhail. "Mikhail on James Wilson, Early American Land Companies, and the Original Meaning of "Ex Post Facto Laws"," coverage by Law & Humanities Blog, April 6, 2019, featuring Professor John Mikhail. 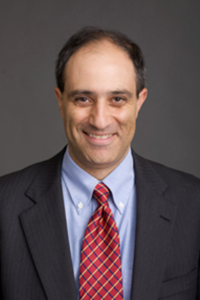 Professor John Mikhail appeared on MSNBC on March 19, 2019, "Did the President's business dealings violate the Constitution?" "Appeals court to hear arguments in Trump hotel lawsuit," coverage by The Washington Post, March 16, 2019, quoting Professor John Mikhail.